Most people have to deal with clutter at some point, but sometimes clutter accumulates into unwanted and unsightly piles of junk, which can be challenging to handle on your own. New York City residents burdened by all of the clutter call Remove My Junk. If you’re trying to justify the cost associated with hiring a junk removal company, you should weigh another price you’ll pay by taking on this project alone. Health & Safety: Depending on how long the clutter has been piling up, there can be hazardous waste, such as pest feces, mixed in with it now. Plus, you can avoid back sprains, cuts, and other common injuries associated with hauling away items by leaving it to trained professionals. Convenience: Cleaning and hauling away junk can be a time-consuming process. It might require you to lose time away from work and affect your productivity. You can save a days’ worth of work and spend the time on most useful pursuits by hiring a junk removal company to do it for you. Costs: Business owners tempted to use their own employees to clear out garbage and furniture risk overtime costs and injury claims. Individuals and businesses also risk spending lots of money on cleaning and hauling supplies. Hiring a junk removal company can potentially save you money in the long run. Efficiency: Garbage removal professionals such as those at Remove My Junk have experience clearing and hauling hoarding clutter, furniture, office equipment, estate items, and garbage from foreclosures and evictions. Professionals also know what can legally be thrown into a landfill and what can’t. 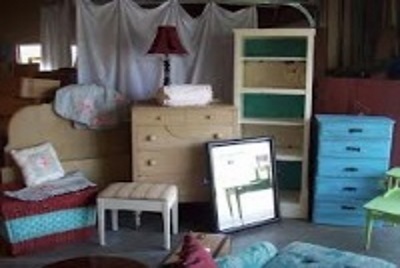 There’s a good chance you know what you can and can’t handle when it comes to junk removal. Remove My Junk can help with single item junk removal or full house cleanup in New York City and New Jersey. Call Remove My Junk at (877) 736-5865 to ask about special discounts, and learn more about pricing and services online.